Whenever you think of adding more room in your home, extending upwards or a full loft conversion is a popular option. This is not always the only solution, depending on the architecture of your property. If you work with a clever and reliable architect, you would be amazed that the same property you own can have more space for you and your family. There are many tricks that you can employ to add more space without paying for planning permissions. What are your options for maxing the size of your home? Below are some practical ideas that you can do to max out the space of your home without the need to spend a lot. This is a fantastic way to increase the floor space, especially in a compact flat or property where space is at a premium. 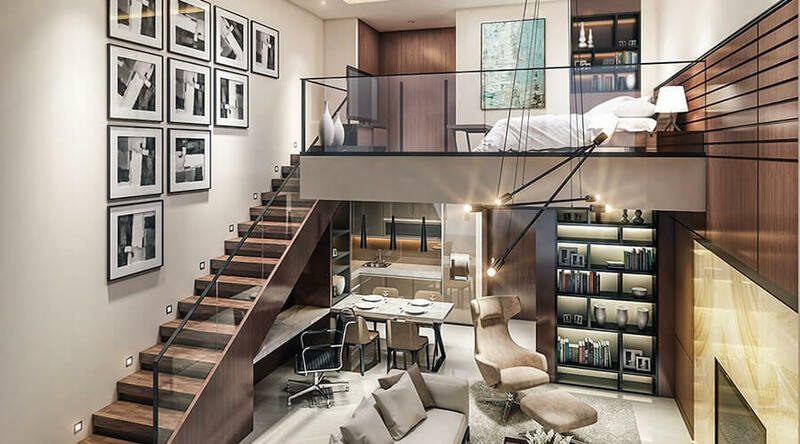 The idea is to move your bedroom at the mezzanine so you can free up space below and create a large open-plan area. 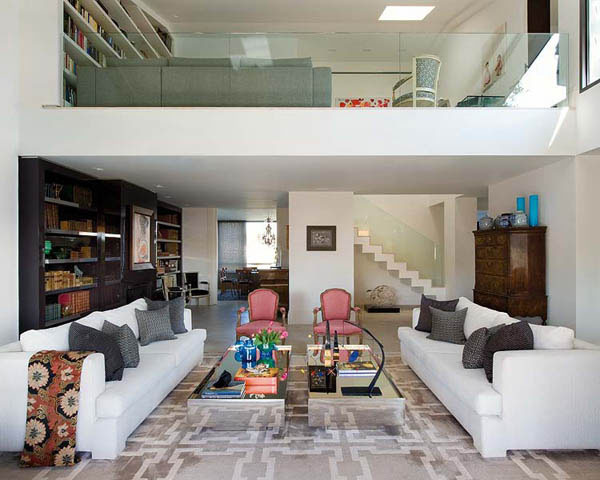 Having a mezzanine is the easiest way to make a small space feel much more generous. This is also one way to increase your property’s resale value. Compared to a loft conversion, building a mezzanine is also budget-friendly. Since it is built internally, with no changes done to the structure, planning restrictions do not apply. Just to be safe, check with your government’s planning portal for guidance and regulations on building a mezzanine first. This is to ensure that you won’t have to deal with legal issues down the road. The same space can be used as a home office as well. If this is what you need more, building an office in the roof instead of a bedroom will be beneficial to you. This also makes sense if the area does not have enough space for a bed. Plus, the view can be more relaxing when looking down from your home office and can get you to be more productive as well. Architect Pravin Muthiah of Coupeville, effectively transformed a compact flat by moving it to a higher level. The living area of the flat is then turned into a larger space. This means having both a living area and a small bedroom without the need to add a structure to the property. This idea is especially recommended for protected or listed buildings were destroying the original structure to add more space is not allowed. Also, it would be a shame to mess with the character of the property just so you can have more room. With a mezzanine installation, the look and character of a protected building will be preserved. Make sure to consult with an architect to identify which editions will be permissible. Are you allowed to add skylights or dormer windows? How can you make a beam less structure that is durable and reliable? If your property has a double-height space, it can appear cold and cavernous. To create a home that is warm and cozy, building a mezzanine floor to break down height is an ideal option. It is recommended that sleep space is added on high to extend living space downstairs. This is also the best option for when you want to have a room where you can escape to from all the frenetic noise and chaos going on downstairs. 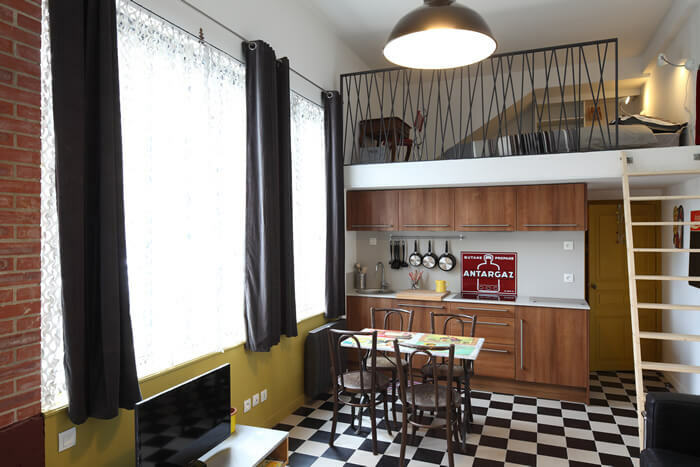 Of course, to ensure that every room is connected, follow a design where someone from downstairs can see the top and vice versa. Using glass for the walls of the mezzanine area is a good option and allows for the lower space to borrow light from upstairs. A new floor area can be built over existing rooms. Do you have a tall kitchen ceiling? 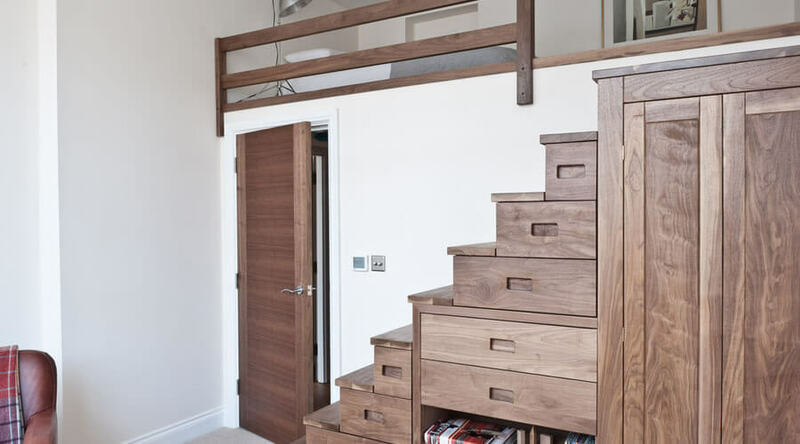 Build a mini mezzanine over it to reduce the height and add a lovely bedroom. This construction idea not only increases the number of rooms your property has but also creates architectural interest. This is especially true for homes with a plain interior. Paint the mezzanine in colors that accentuate lines or add a stark contrast to create visual appeal. To avoid blocking the sight-line, design the stairs leading up to the mezzanine in such a way that each tread floats. This also allows for more natural light to be distributed throughout the space. As previously mentioned, you can reduce ceiling height to build an extra room. Just make sure to maintain enough head-space so you can stand from the mezzanine floor. 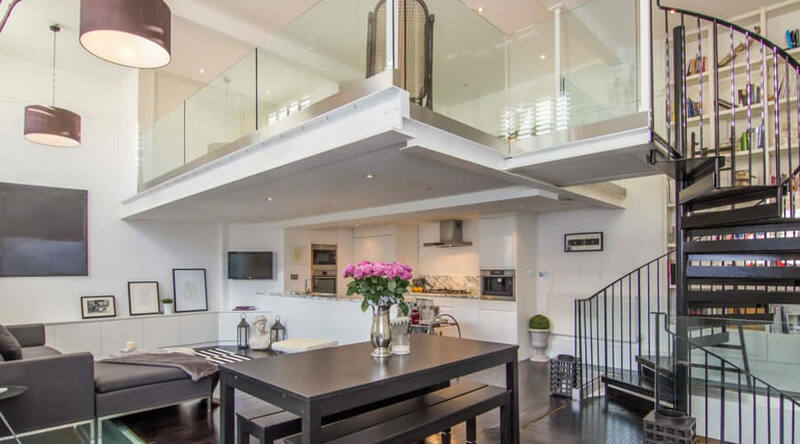 Architects suggest keeping the overall height to a minimum of 4.4 m.
If your property has a ceiling height of 10 meters or more, adding a mezzanine is the easiest way to reduce it and extend living space. Maybe what you need is not a bedroom or living space but storage space. In this case, a loft conversion or mezzanine is unnecessary. You can create a lot of new storage without breaking down walls and with very little disruption. The eaves of a pitched roof, for example, is one option. The staircase case can be built with drawers as well. And if there are newly exposed cavities around your home, you can transform them into storage units too. Another option would be to custom-design the bed to allow for under-bed storage. You can also build it high so the platform is packed with storage units underneath. 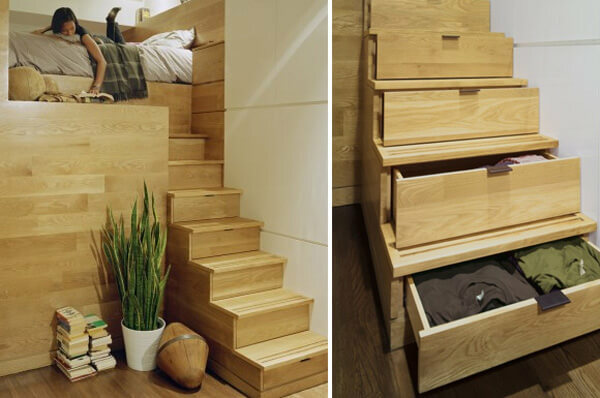 Since you need to build stairs to access the bed, each thread can also serve as a drawer. Depending on the architectural design of the bed, you can even add a closet or built-in wardrobe next to the storage staircase. Regardless of which option you choose to add space in your home, there are certain factors you must consider. By knowing these beforehand, you will be able to make decisions more efficiently before starting on the project. In addition, you will be spared of having to spend more just because there were factors that you failed to consider. Mezzanine floors may be often portrayed as open and somewhat visible from downstairs, but this doesn’t always have to be the case. It can be built completely covered on all sides. In the event that some windows are covered in the process, adding skylights will resolve concerns over access to natural lighting. Most skylights can be added without the need for planning permission. Ventilation in both the mezzanine floor and the rest of the house must be considered as well. An architect can provide recommendations on where to add ventilation. When adding a mezzanine floor, there should be enough head space for you to stand up straight. 4.4 meters is the minimum, but you can always go higher than this, depending on your height and the height of your property. For homes with a pitched roof, the central part can have enough head space even when the sides are lower. How do you plan to illuminate both the enclosed space and the elevated room? If your property originally had floor-to-ceiling walls or windows, access to natural light won’t be a problem. If this is not the case, the addition of skylights is one solution. This is especially true if adding dormer windows is not possible. Most states don’t require building permissions for skylights but it pays to be well-informed. Mezzanine floor access can be as functional as it is decorative. You can make it visually interesting with the right architectural details. Go for something bold with a spiral or floating staircase. Go practical with a storage staircase. Have both with a parrot staircase where you step up with opposite feet. This design idea is perfect for a flat or a home with limited floor space and will add more storage space when each thread is built as drawers. Even when building regulations do not require it, have a fire escape compliant window added to the mezzanine space. Whether it’s used as a bedroom or office, fire safety should be a priority. Follow the same safety measures that are used for a loft conversion. Mezzanines must be a single space with no subdivisions. Storage and wardrobes may be added but not walls. The choice will depend on several factors. Ask yourself the following questions to make the right choice. Can you afford to build up and out? Do you have room to build up and out? Are you okay with complying with planning permissions and building requirements? Do you live in a listed or protected building? Are you okay with a major disruption due to extensive construction work? Do you really need an additional room or just storage space? 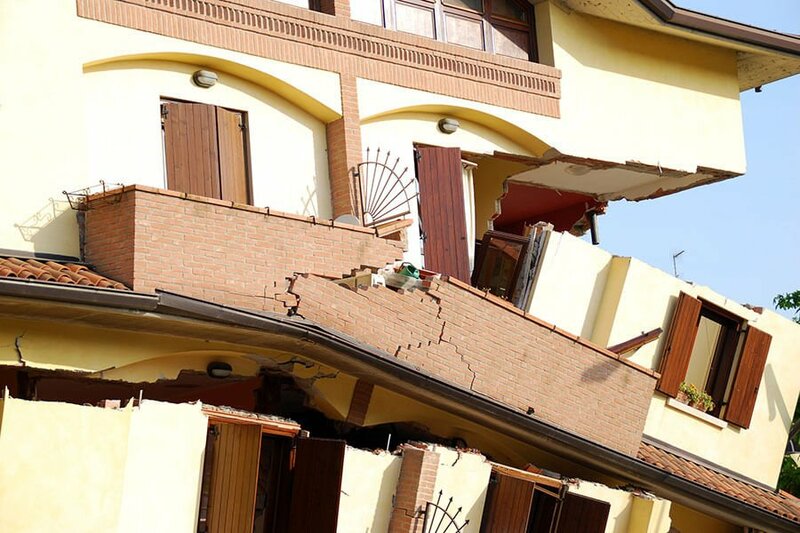 Can you afford to hire an architect, a structural engineer, or both? Do you want to add more value to your property? If you answered yes to the last question, mezzanine extensions are a better option. Creating a split-level room offers the best returns for your investment. Armed with the information above, it is up to you to decide on a loft conversion or a mezzanine level. With the help of a reliable architect, you will be given the best advice on what type of space to add. 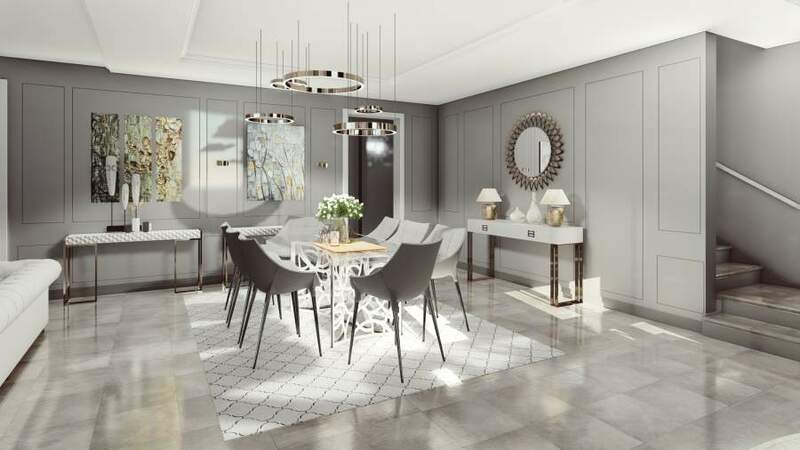 They will also help in ensuring that factors that matter and what it means to you to take the planning permission-free route of adding more space are taken into account. 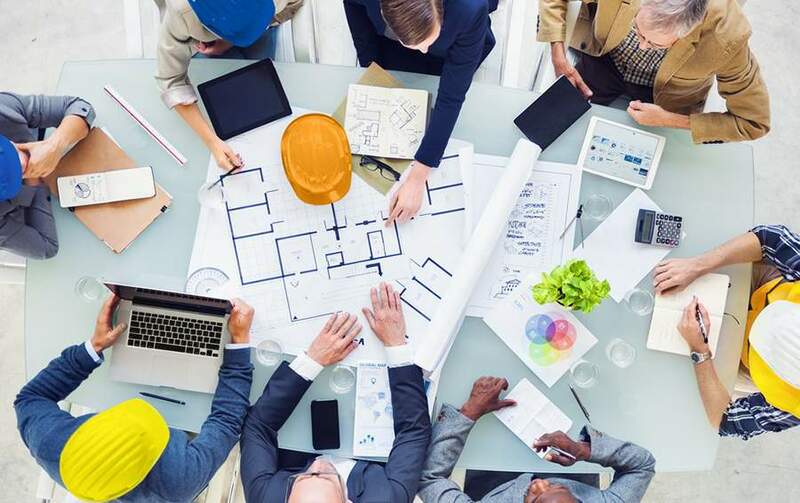 Once you’ve made a decision, make sure to work with a reliable architectural and structural company only as they can help you achieve your goals, regardless of how complex or unique they are. They will also be able to guide you on the costing, materials, and other essentials in building the mezzanine, loft or any other home conversion that will best fit your needs and circumstances.